This week, an Ethiopian Airlines flight was hijacked by its own copilot who was seeking asylum in Switzerland. Italian and French fighter jets responded, but the Swiss didn't. And that's because the Swiss Air Force was closed. The copilot of the Ethiopian Airlines flight ended up landing the plane in Geneva and scrambling down a rope to the tarmac where he surrendered to police. Nobody was injured. But the big question is where the hell was the Swiss Air Force. The Swiss airforce is only available during office hours. These are reported to be from 8am until noon, then 1:30 to 5pm. 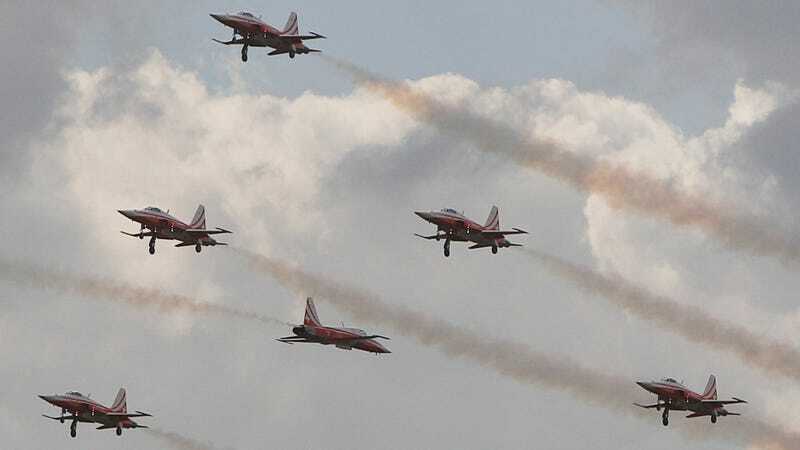 "Switzerland cannot intervene because its airbases are closed at night and on the weekend," Swiss airforce spokesman Laurent Savary said, adding: "It's a question of budget and staffing."